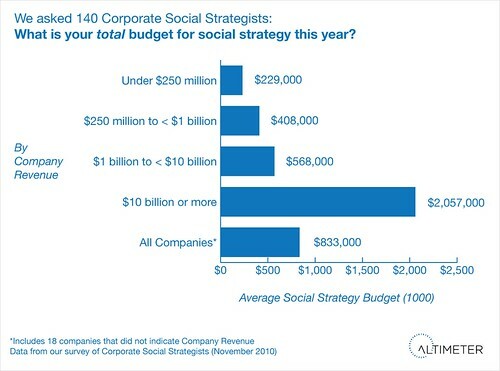 Research reveals corporations to focus on integration, staffing, advertising, and measurement in 2011. I’m sharing these slides as I take the stage for one of the few business focused tracks at the largest European internet conference, LeWeb (pic). 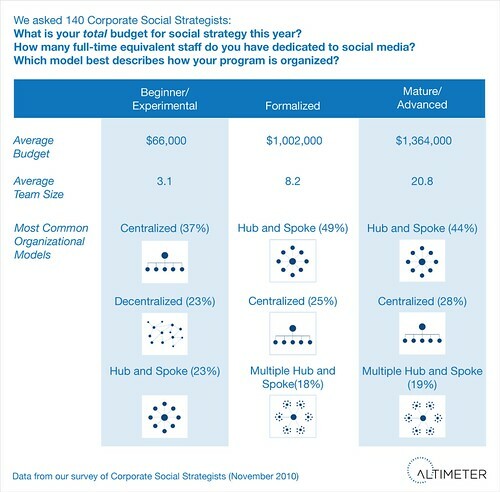 The following slides are based on the survey data collected in our latest research report on the Career Path of the Social Strategist which has been downloaded at least 3000 times and viewed over 21,000 times and been discussed on Marketing Profs, RWW, Mashable, Fast Company, and many other blogs. 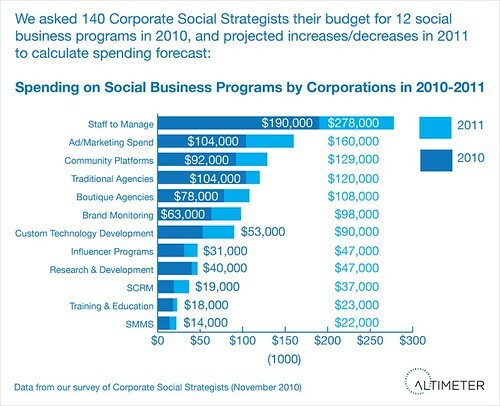 In the deck you’ll recognize some of the data in 2010, but we’ve also segmented it by business maturity. 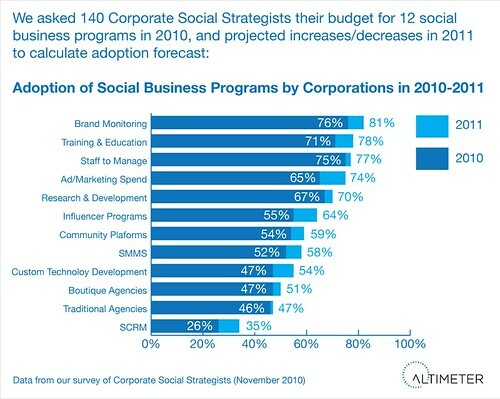 In the predictions section in 2011, we’ll find data on where companies are going to focus, as well as spending changes based on maturity of corporations –notice how advanced companies shift to customization and social media boutiques. Above: Here’s a video from the front row (Thanks Erno), apologies, I’m fighting a cold and a bit stuffed up. I added this video later. This data, which we make available for the industry is under the premise of Open Research rather than charging for it. It’s intended for you to use, cite, and share as long as you provide attribution to Altimeter Group. The more you share, the easier it is for us to create more. Some of the select figures are available here on Flickr, embedded below, expect I’ll discuss these in greater detail in coming weeks. Special thanks to the research team involved in this project lead by Christine Tran, Andrew Jones, and guidance from Charlene Li, all of Altimeter Group, where I’m a partner.